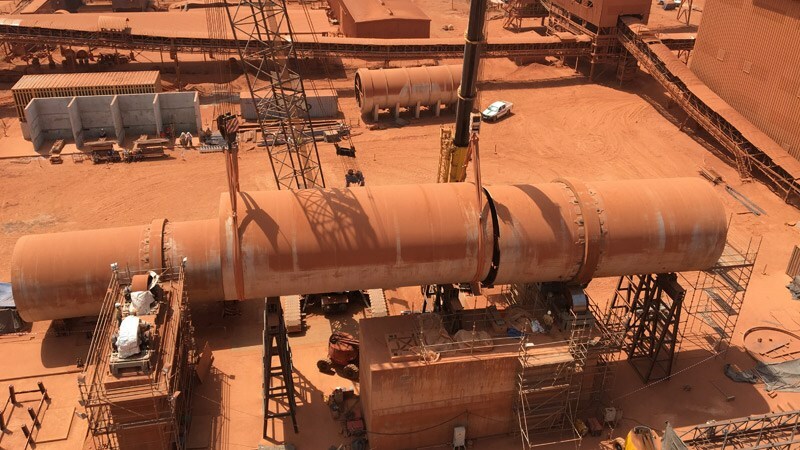 » Portfolio » Installation of a rotary dryer system for bauxite and support buildings, Kamsar. Republic of Guinea. 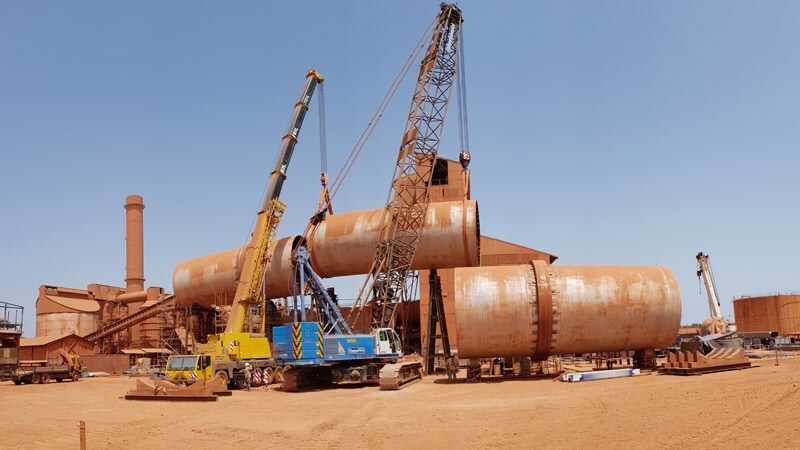 Installation of a rotary dryer system for bauxite and support buildings, Kamsar. Republic of Guinea. 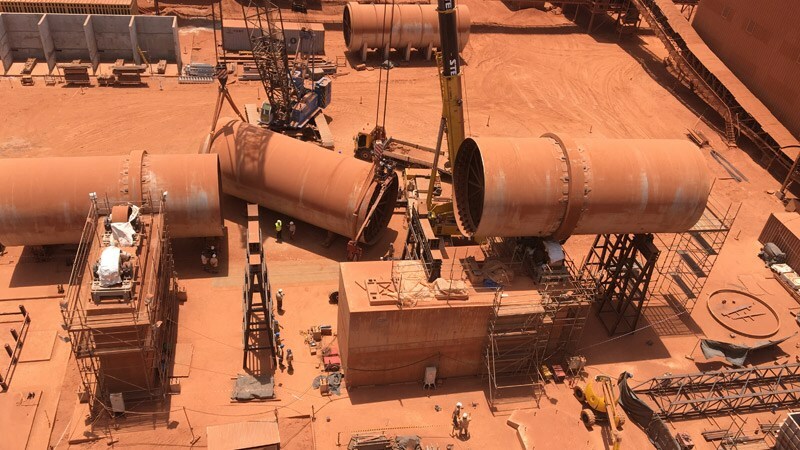 The works are part of the Project of Expansion of the bauxite mine from Compañía de Bauxitas de Guinea (CBG). It is located in the Boke region, in particular in the town of Kamsar. In this town, CBG receives by rail the material that is extracted in the inland mines, processing the transported material and loading it in the terminal of Kamsar. The construction of a new dryer is the object of the contract. It will enable to increase the production capacity of the existing plant. The scope of work includes: the development of the detailed engineering of the 1,300 t metal structure, its supply and assembly, assembly of the main equipment (dryer, dust extraction equipment, chimney, etc), development of engineering, supply of materials and installation of all electricity supply networks, lighting systems, firefighting, water collection and supply, etc. The planned works include shutdown works that will enable to integrate the new facilities into the operating system.